The long-awaited side scrolling RPG-adventure finally has a launch date! Learn more about the game’s procedurally generated world map. James Petruzzi	Director, Bit Kid Inc. 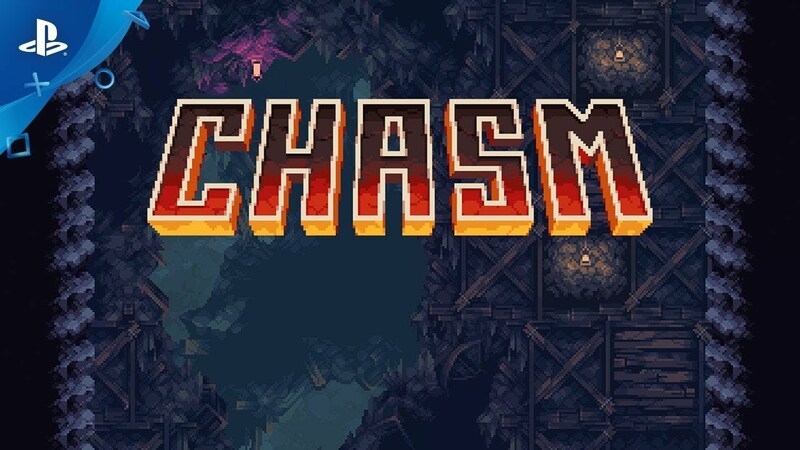 Unlike some other games that are developed in secret and then announced about six months before launch, Chasm has been in the public eye pretty much from the beginning. Our first post about the game was on IndieDB.com back in January 2013, and we launched a successful Kickstarter campaign just a few months later. It is with a combination of pride, exuberation, relief, and fear that I am hereby officially announcing that we will be launching on July 31! The price will be $19.99. Although we’ve been very public about our development process, there’s no way everyone can keep up with every game in development, so here’s a quick summary of the game: Chasm is an RPG-adventure in which you play the role of a new recruit who’s sent to investigate why a nearby mining town has shut down. As you explore, you discover all sorts of supernatural creatures you need to battle to uncover the mystery of what’s happening with the town, and how you can save them. One distinctive feature of Chasm is that the world map is procedurally generated when you start up a new campaign. That feature has led to a lot of questions and confusion, so I’d like to address exactly how it works and why we designed it that way. The latter part is easy to answer. Our entire team is composed of Metroidvania fans. Whether it’s Castlevania: Symphony of the Night or Axiom Verge, we’ve played through our favorite games so often that we’ve long since memorized the maps. We love how those games play but wish we could wipe our memories so we could get that experience of exploration all over again. It’s our hope that people who love Chasm the way we love our favorite games can play it over and over and still have it feel fresh. But at the same time, people who only play the game once should have no idea that there’s anything procedural about it. But that’s not to say that everything’s completely random; there is a fundamental structure to the game that never changes. If you’re familiar with Castlevania: Symphony of the Night you may recall that first you get the Jewel of Open, then the Leap Stone, then the Soul of Bat – in that order. As you get these upgrades, new areas of the map become accessible. Chasm, like most titles in this vein, follows this structure. When you start up a campaign, the game always has these key upgrades and plot points in the same place. What’s different is how you get from one key point to the other. Chasm has a bunch of pre-designed rooms that are slotted in modularly in different combinations. So you won’t have any rooms that feel like they were designed by a computer. Instead, you’ll encounter rooms in a different order and even encounter new rooms you never saw the first time, and your path will be different each time you start up a new campaign. Getting that to feel right was way easier said than done. There was a ton of balancing we needed to make sure the procedural engine took into account when it builds a world map. And you want to make sure that there’s just the right amount of treasures and surprises along the way to encourage exploring every little nook and cranny of the game. There are some people who like the comfort of getting to know a single map by playing it over and over or being able to follow their favorite YouTuber’s walkthrough of the game. We have an option for that too. Everything randomly generated by the game engine is based off of a seed number. If you enter a specific seed number, you can guarantee a specific map. So if you want to follow a walkthrough, just check their seed number and enter that when you set up your campaign. We’re very excited – and not a little bit nervous – to send our baby out into the world. We’ve polished and fine-tuned every little bit of that game to make sure there were no compromises to our original vision over five years ago. We can’t wait to hear what you think on July 31! Yesss!! Thank you for being perfectionists and more importantly double thank you for not dropping Vita. Any chance of a LRG physical copy? That seed number thing is brilliant. BRILLIANT! Vita? And game looks great? Sold! I was worried about it being procedurally generated, but it sounds like they’ve set it up pretty smartly. Gonna be grabbing this on Vita, I think. Glad to hear it’s not a “roguelike”. I love Castlevania type games, but these days it seems many of them are also roguelike, which I just don’t like. I will buy on Vita!! Genius approach to procedural generation — still a hand-crafted experience but with variety (if the player wants it) on subsequent plays. Roughly how many hours for the average, non-completionist to beat the game? Yes! Yes! Yes! my Vita is so excited! Can’t wait! I love these types of games and the idea of it being different through each play through is exciting! Congrats on the launch! Finally! Can’t wait to get my hands on this, and thank you so much for putting this on the Vita! Will the Vita version work on the Vita TV? And will it be cross-buy? Excited to play this, thanks for bringing it to vita! So looking forward to playing the crap out of this!!! Day ONE buy all the way! And yes, thanks a million over for not forgetting about a Vita version… we Vita fans still exist and it means a lot when we can also enjoy great new games like Chasm. My one worry is that I’m just hoping (not to be nitpicky) that the Vita version isn’t some zoomed-in/cut-back/scaled-down version of the PS4 version)? It happens quite often to Vita versions of multiplats (Stardew Valley<<<w/ visuals). I understand why it has to be done in some cases, but in other cases I often wonder if devs just didn't want to put in the little extra time and or care for the Vita version. Reminds me of a 14bit STRIDER Clone. Damn I got to go back and finish that game for PS4 now. A gamers backlog is too huge. Don’t forget this game is a croosbuy. So gor one price you can have it on the Vita and PS4!! Awsome! !